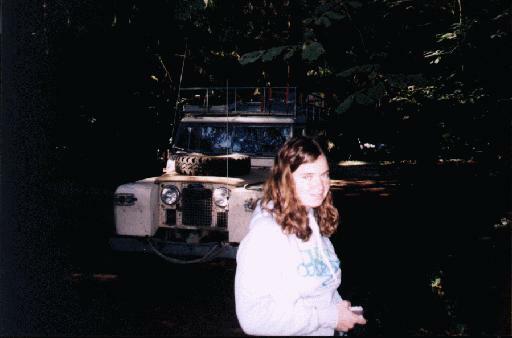 Geez, Rachel, I'm trying to take a picture of the Rover! We stopped off in Washington state to visit my best friend from high school. Here, we're camped in a small campground just north of Portland, Oregon. That's Rachel in the foreground.